Chilean President-elect Sebastian Piñera offered a glimpse Tuesday of just how deep his pockets stretch, selling one of his relatively minor investments – a nearly 10 percent stake in a posh Santiago hospital – for a cool US$37 million. Read the rest of this entry ? 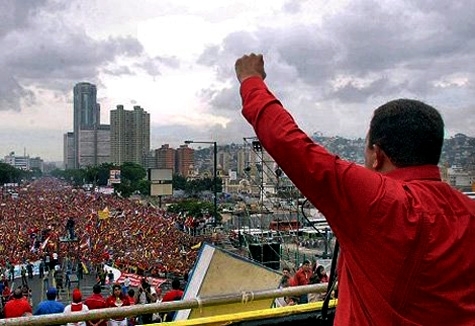 Home to one of the world’s most extensive oil and natural gas reserves, energy-rich Venezuela is nevertheless experiencing serious power problems at the moment, grappling with an acute electricity crisis that has resulted in rationing, rolling blackouts and periodic protests. The government blames Mother Nature. In recent months a prolonged drought has parched the country, causing severe water shortages. A side effect has been decreased water flow (and thus reduced capacity) to the massive Guri Dam, a 10,200-megawatt (MW) behemoth that supplies more than 70 % of the country’s electricity. Located along Bolivar State’s Rio Caroni, the 1,300 meter-long dam – officially called the Central Hidroeléctrica Simon Bolivar – is the world’s third largest after the Three Gorges Dam (18,300 MW) in China and the Itaipu complex (14,000 MW) along the Brazil/Paraguay border. A series of “unprecedented” bilateral meetings between US and Salvadoran officials have brought renewed attention to an issue with major economic and human rights implications in both countries: immigrant detention and deportation. 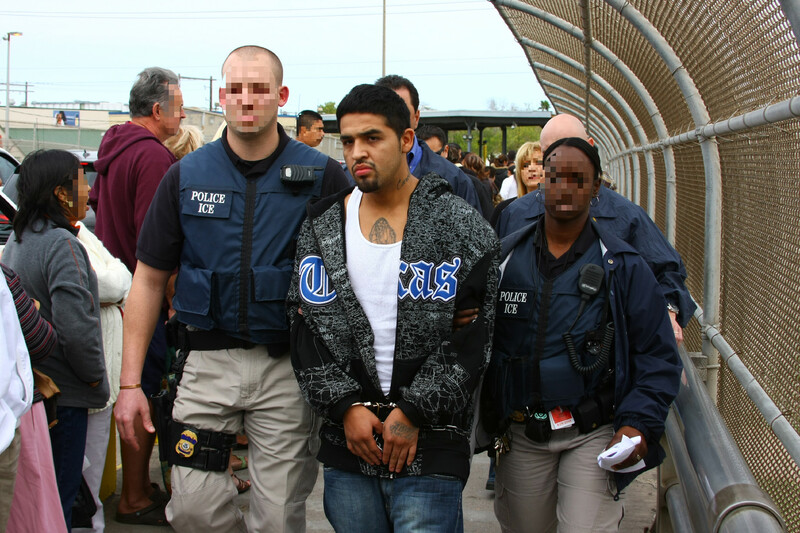 In recent years, US authorities have detained and deported a growing number of Salvadoran immigrants – roughly 20,000 in 2009 – as part of a post-911 security-oriented crackdown that pushed the overall number of immigrant deportees from 190,000 in 2000 to nearly 360,000 in 2008. Mexicans and Central Americans together accounted for just over 90 % of the forced removals in 2008, according to the US Immigration and Customs Enforcement (ICE), a powerful and controversial branch of the Department of Homeland Security that operates with an annual budget of more than US$4 billion dollars. “What Chile asks of us is to keep the good, correct the bad and improve the mediocre,” said Pinera, recalling the words Aylwin used when kicking off his own presidency (1990-1994). Aylwin – a member of the centrist Partido Democrata Cristiano (DC) and the first of four straight presidents from the center-left Concertacion coalition – is credited with leading Chile’s transition from dictatorship (1973-1990) to democracy. Pinera, who beat former President Eduardo Frei (1994-2000) in a tight runoff last month, promises a second transition for Chile after two decades of Concertacion rule. He is Chile’s first elected conservative leader in more than half a century. “We’re not starting from zero,” said Pinera in a clear nod to his Concertacion predecessors. “A lot has been accomplished, and we’ve always recognized that. But I also want to make it clear there’s still a long and arduous path that must be followed.” Read the rest of this entry ? 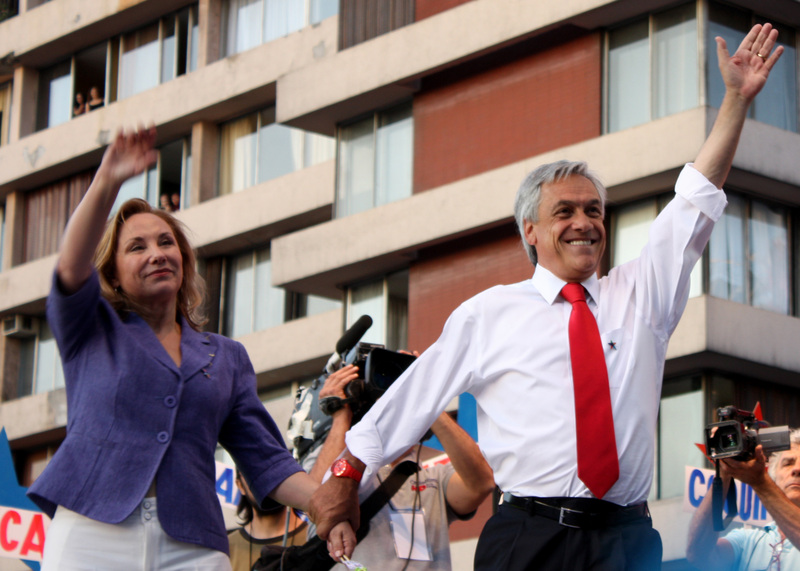 Chilean president-elect Sebastian Piñera, who narrowly won last Sunday’s runoff election against Sen. Eduardo Frei of the governing center-left Concertación coalition, has added new meaning to an old adage: to the victor go the spoils. Piñera, a billionaire businessman and former senator from the center-right National Renovation (RN) party, beat Frei 51 percent to 48 percent to end the Concertación’s two-decade-long grip on power and become Chile’s first elected conservative president in more than half a century. For Piñera, however, the win has more than just historical significance. It’s also meant a huge personal payoff for the mogul/politico, who has seen his extensive stock portfolio – which includes a controlling stake in Chilean airline leader LAN – balloon in recent days. 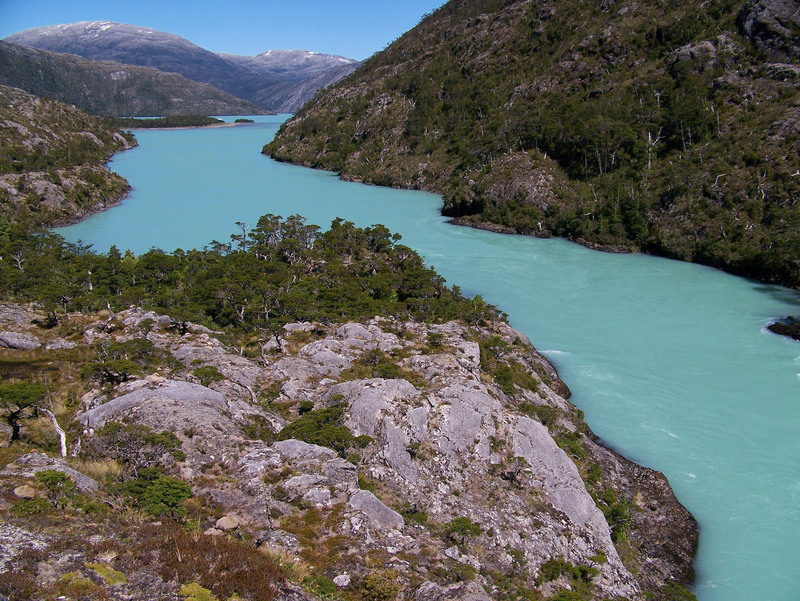 There is a place in far southern Chile, in the remote region of Aysén, where the long road south – the famed Carreterra Austral – simply comes to an end. Beyond lies a magical and uninhabited land dominated by the earthly elements, where rock, ice and wind combine in a breathtaking and intimidating mosaic of mountains, glaciers, lakes and fjords. Read the rest of this entry ? 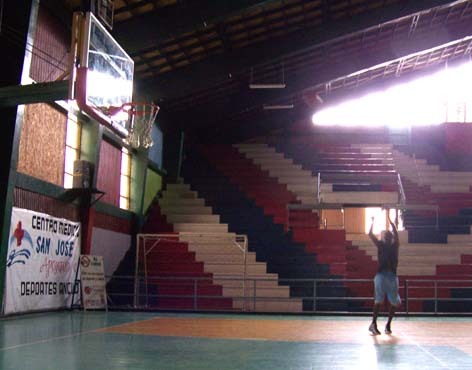 ANCUD, Chile – It’s halfway through a late, Friday morning practice session in Ancud’s murky, municipal gymnasium and Kevin Sowell’s killing it. Fifteen footers. Three pointers. Everything’s dropping in. “Game,” shouts the lanky American, throwing his arms in the air after draining a 25-foot “buzzer” shot to win a quick, one-minute shooting drill. The setting is reminiscent of something out of “Hoosiers”: a dank, empty, poorly-lit gym that could easily be home to a rural, 1950s high school team. The year, though, is 2007 and Sowell, a 26-year-old native of Hamilton, Ohio, isn’t anywhere close to Indiana. Welcome to Ancud: a rainy, wind-swept fishing town of some 35,000 inhabitants located on the northern top of Chiloé. A large island off the coast of Southern Chile, Chiloé is about as backwater as it gets. The Chilean capital of Santiago is nearly 1,000 miles to the north. To the south lies the tangled wilderness of Patagonia, a sparsely habited land of rushing rivers, massive glaciers, sweeping forests and fjords. Read the rest of this entry ? You are currently browsing the Benjamin Witte's Web Site blog archives for February, 2010.